30th April 2017 - The day will be remembered by the Indian Football fans for years to come. 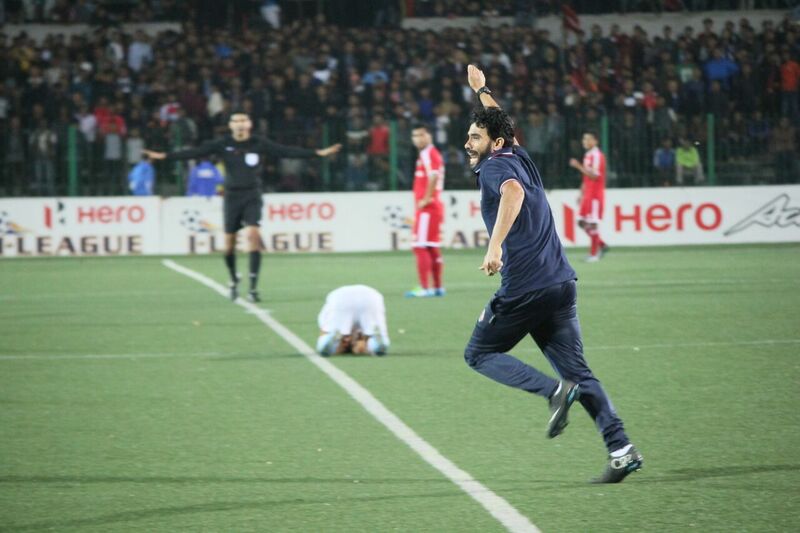 The day when a minnow club put all predictions aside to lift the Hero I-League trophy. The stage was all set for them and they duly delivered. It was a thrilling finish and at the end I-League trophy had a brand new name engraved on itself and quite deservingly so. The team from North East against all odds piled against them, out muscled other competitors to register their first ever I-League trophy. The North East derby was all set to be a fascinating encounter an icing on the cake with Aizawl needing a draw or victory provided Mohun Bagan getting a positive result against Chennai City FC. The matches lived up to the expectation and both the games saw huge turnarounds with the title race seemingly hanging on balance. Aser Dipanda struck first for Shillong Lajong FC in the 9th minute to put all the Aizawl FC supporters red faced and worried. Mohun Bagan fans could not enjoy the rare opportunity handed over to them for much long as Chennai City FC took the lead on the 31st minute.William Lalnunfela's 67th minute strike was the clincher as Aizawl FC equalized to put themselves on the front foot and keeping their title hopes resting on their hands. Darryl Duffy's 77th minute strike meant that any slip-up by Aizawl would cost them the title but that was not to be. Some nerve-racking moments in the dying minutes of the game saw Shillong Lajong FC coming inches away from finding the winner but Khalid Jamil's young side held on for a 1-1 draw to become the Hero I-League 2016-17 champions. The big question every one is asking. With the proposed Indian Super League(ISL) and I-League merger on the cards and only a select few top teams from I-League seemingly destined to join the top tier of Indian Football, what will happen to the teams like Aizawl FC. Will they be plying their trade in the second division especially after winning the "Official league" of India? We say, let Aizawl FC drink the joy of victory first. Let them celebrate the rare moment which they have gifted to the entire nation and to the country's history books. They deserve every ounce of it and they should be congratulated for that. We will come to know about the plans of the All India Football Federation(AIFF) and IMG-R regarding the merger more sooner than later and only then we can start commenting.